So you’ve decided to buy a home – congratulations! Home owning is a great investment and can be very rewarding. Now you’re wondering: Where do I start? 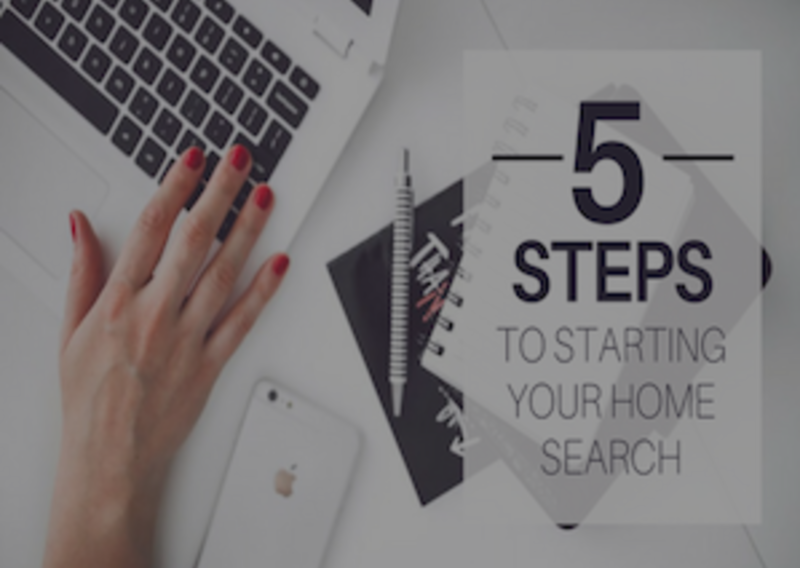 There are so many things to take into consideration when you are first starting your home search that the task of choosing a home can seem daunting – but it doesn’t have to be. Here are 5 easy steps that will help make the process go smoother. 1. Make a specific needs and wants list. Identify your absolute needs in a home. Will you be staying for 5 years or 10? If you’re thinking long-term, be sure to consider what your future life will be like. Are hardwood floors absolutely needed, or is that a project you could take on at a later date? Create your home wish list so you can provide this to your real estate agent to make sure your dreams become reality. 2. Research the area you want to live in. Narrowing down the area where you want to live will make your home search that much easier. Take a look at our Community Pages for local insider information, such as our favorite restaurants, shops, and fun local activities to get a feel for the area you may want to call home. Also, take a look at things like local crime rates, schools, average house price, etc. Is public transit important? Are there parks nearby for the kids to play? Keep a close eye on the local market, how long homes stay listed, and if asking prices change – that way you know what to expect when you start making offers. 3. Know your options when it comes to your mortgage. It is generally recommended that you look for a home that is around 2 – 4 times your annual household income. This, of course, is a personal determination that you will need to make based on your financial needs. Additionally, you will need to decide how much of a down payment you can afford to make, if at all. There are programs for first-time home buyers that may make a down payment unnecessary for you. However, 15% – 20% is usually advised. Would it be better to have a fixed rate mortgage or an adjustable one? Talk things over with your lender and friends and family who have purchased homes recently – preferably in the area you wish to buy. 4. Get pre-approved for a loan. Knowing how much you would like to spend is one thing, but being pre-approved seals the deal. To get pre-approved, you will need to provide some financial information to your mortgage banker, such as your income and the amount of savings and investments you have. This is viewed by those in the real estate industry as being more substantial than pre-qualifying, as your credit is run and your income and assets are verified. While this is still not an absolute loan approval (that will come later), it gives you a solid place to start. Pre-approvals are typically valid for 120 days, so once you have the green light, start your search as soon as possible. 5. Find a real estate agent you can trust. The right real estate agent can make all the difference when looking for your next home. They are your biggest advocates and will be invaluable tools during the home buying process. You’ll want to find a REALTOR® that is experienced, has knowledge of the area, is responsive and who you feel comfortable asking all sorts of questions. While you can certainly do some home searching on your own, having an agent on your side will ensure you get the best bang for your buck. And since REALTORS® are compensated by the seller rather than by you as the buyer, you have nothing to lose. The REALTORS® at Middleburg Real Estate | Atoka Properties are intimately familiar with Loudoun and it’s surrounding counties. Our experienced team are focused on making sure your real estate experience is everything you hope and need it to be. See why we’re welcoming people home for a lifetime and find an MRE|AP agent you can trust.